Purple has been a great color that can meet both in soft and dark saturation. 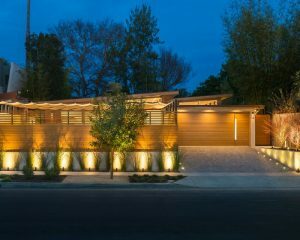 It has its own power in making the room large when it is used in light and making a room deep when it is used dark. However, no matter how it is used, purple always offer more than that. 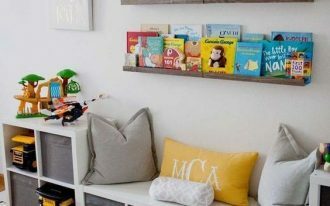 This noble color brings an interesting hue to the room as well. Here below are ten proofs on how pretty and amazing purple can be, in many rooms. 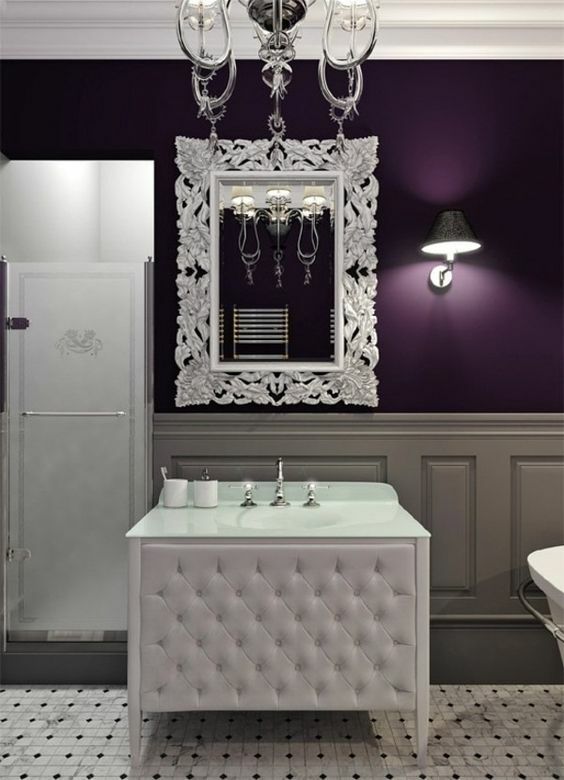 To create luxury, purple can be combined with white color that offers luxurious details like ornamented framed mirror, tufted surface in cabinet, or chandelier. The color and the accents are completing one each other. 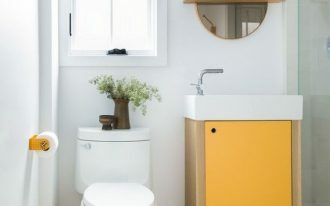 While the previous one displays how pretty a bathroom would look with dark on the wall, this one here shows how it will look with the light one. And not only that, the wall has sloping side. 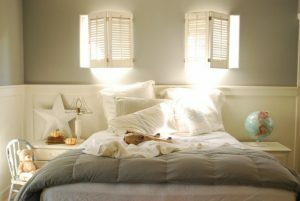 However, it does not bring any challenge for the purple wall because with the light one, the room is perfectly colored in fresh without getting all cramped. 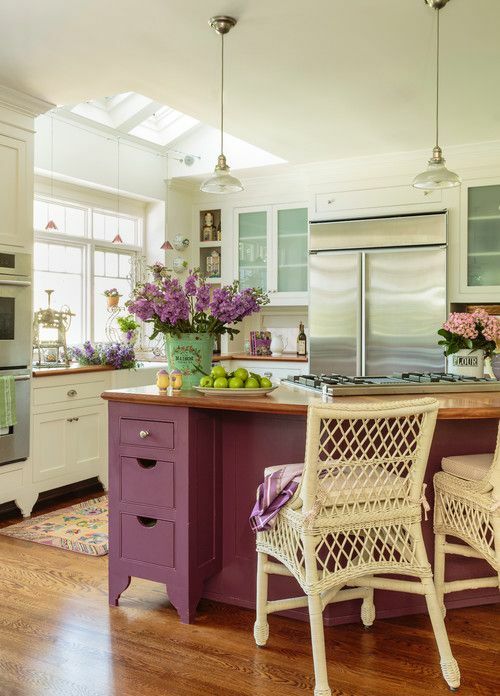 Purple can be a great option color for a neutral kitchen where it can bring bold touch and thus bring the color the brave impression. 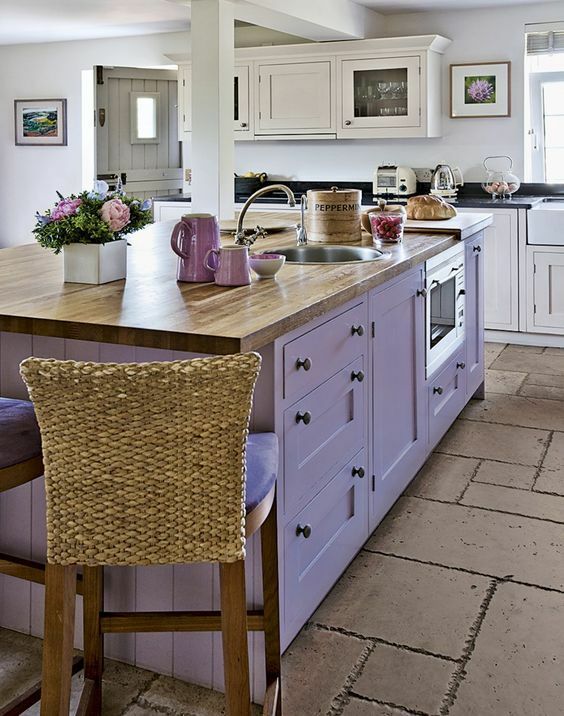 Seen in this one here is a pretty purple on the island that bring romantic and fresh hint to the neutral kitchen. Similar to the previous one, this one too has purple on the island. However, to blend in with more subtlety, this one puts lighter color on the island that match perfectly well with the seating on the stool. 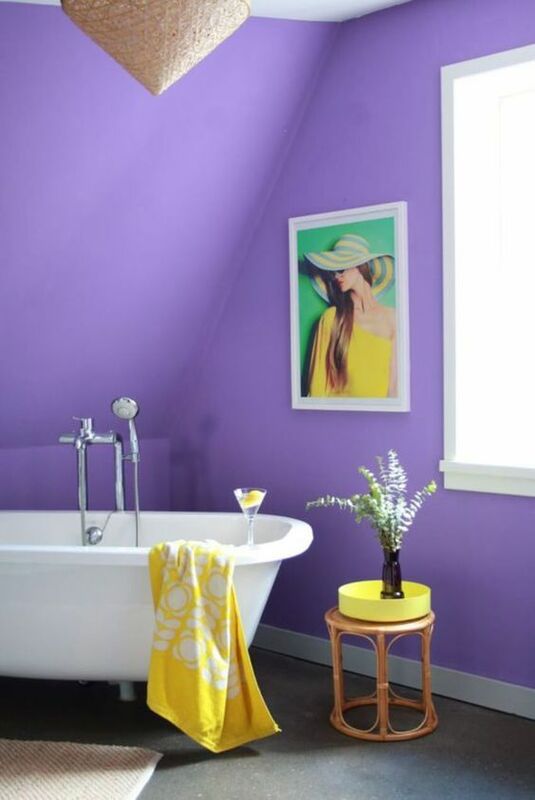 Although purple does not really display much warmth, it has been, however, a great complement to the warm color, just like seen in the picture below. 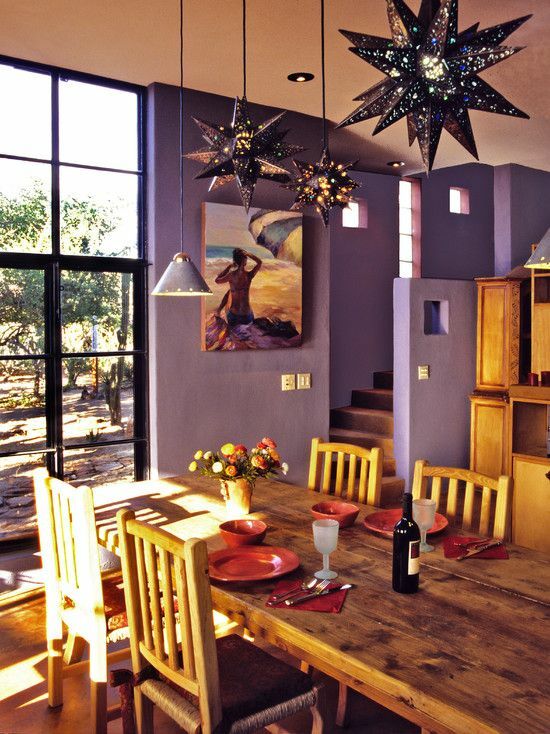 With warm wooden dining set and cabinet, light purple wall has been a great canvas to the prominent wooden furniture. 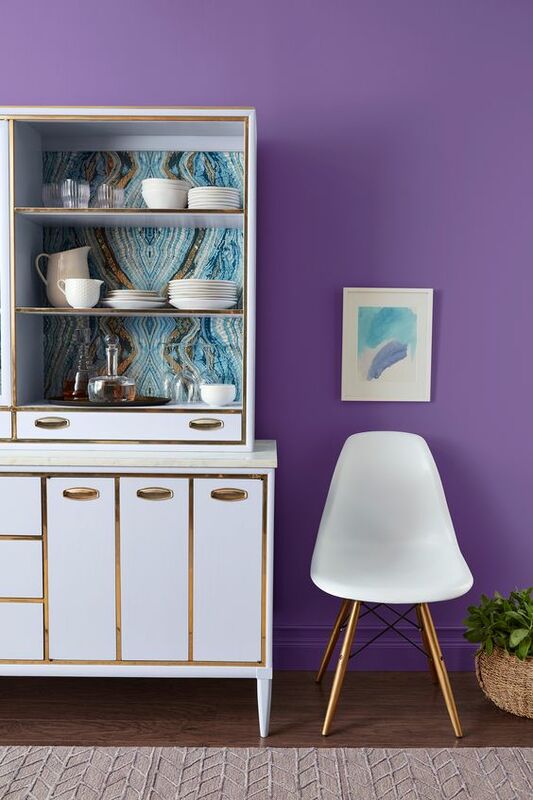 Purple is a great color for modern style. It has cold vibe on the color that will get along well with modern furniture. Seen in this picture, the wall look perfectly complement the modern chair and cabinet. 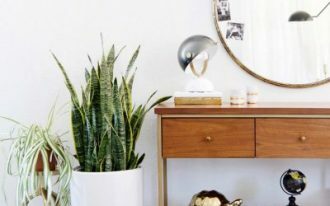 A pretty hue can bring a room to a fresh, sweet, and light vibe, as seen in this living room. With its sweet hint, purple color seen in the wall, sofa, ottoman, and table lamp in the picture below. To put sweeter and prettier touch, the room has white shade with purple flower on it. Another pretty look in the living room with light purple is seen in the picture below. 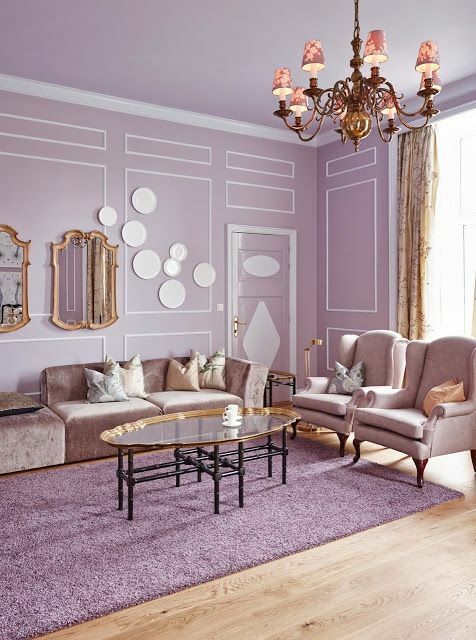 Not only the wall is in light purple, the rug has complemented the room in the right purple. The sofa and chairs are beautiful addition to the living room with its curvy lines and soft material. Having a great benefit being put in the alcove, this round room looks really beautiful. With purple bench and seating, the alcove looks so endearingly inviting. 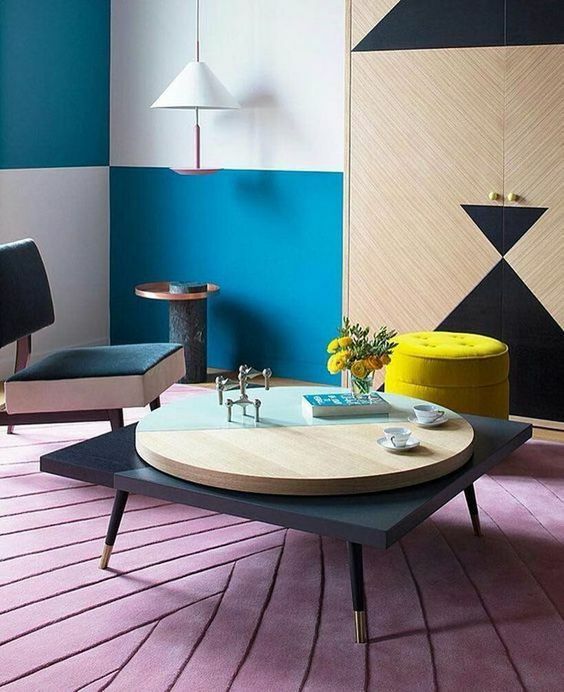 In this modern living room, all colors are complementing the strong and soft vibe. The geometric lines are clashing but it thoroughly looks nice. 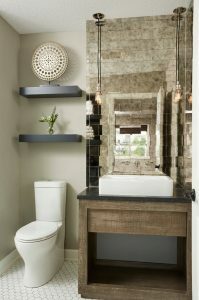 The grey rug on the floor have interesting lines as well that match the whole look.